RayBio® Human CHI3L1 ELISA Kit for cell culture supernatants, plasma, and serum samples. 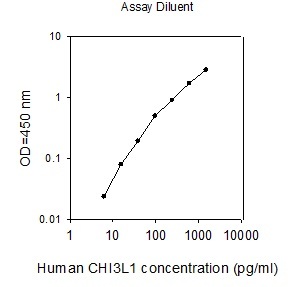 This ELISA antibody pair detects human CHI3L1. Other species not determined.